Home/Latest news/Blogs/Wood or MDF Shutters? So, you’ve made the commitment to transform your home with some perfect shutters, but now you have to choose between wood or MDF Shutters and you’re asking yourself where do I start? Shutup Shutters is here to shed some light on the differences between the two, as well as some of the advantages and disadvantages you can expect in order to make a more informed decision. First of all, in the world of interior shutters, these two materials are the most commonly used. Wood is mainly basswood, while MDF stands for medium-density fireboard, and is a man-made wood. Now, let’s look at them both individually. When it comes to choosing the perfect shutter material for your home, the choice is mainly down to preference. However, if your window would best suit a specific material, our experts will let you know upon consultation. It’s also important to add that your material choice won’t limit your customisation (aside from colours), with either material you are still able to choose louvre size, hinge colour and any extra touches. 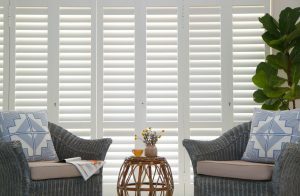 If you would like any further information in regards to choosing between wood and MDF Shutters, please contact the team at Shutup Shutters today. If you’d like to see some of our 5* reviews, please visit our Facebook page.